Outline planning permission for the University’s current Masterplan was granted in 2009 by Coventry City Council and Warwick District Council, with a life of ten years. During this period the University has sought to establish a framework for sensitive development and positive contribiution to its neighbouring area. The Chancellor’s Commission, launched to coincide with the University’s 50th anniversary, focused specifically on the future role of the University in Coventry, Warwickshire and the wider region. Many of the Commission’s recommendations are already in progress, including significant support for transformative initiatives such as Coventry’s Cultural Strategy and the successful bid to host City of Culture 2021. Initiatives delivered by the University, under the Travel Plan, have included a new Bus Interchange, a successful car sharing scheme, more, better cycling provision, improved footpaths and a coach park. This has resulted in a significant increase in public transport use and other sustainable journeys. Over the past 9 years a total of 31 building projects have either been completed, are under construction or have planning consent. Significant investment has been made into new infrastructure including a new Energy Centre built to extend the district heating system. 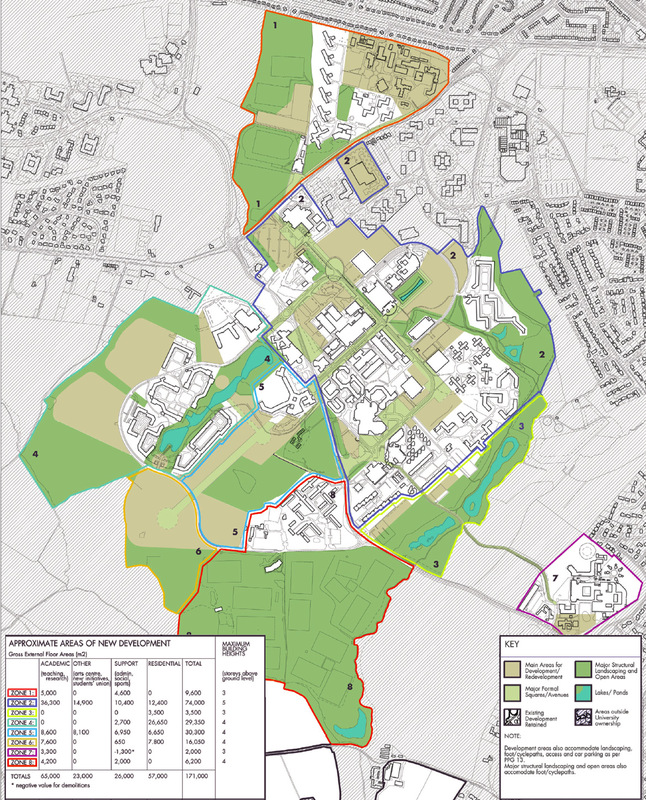 The masterplan has been successful in guiding the development of the campus, particularly around Academic Square, crossing Gibbet Hill Road and expansion into the Warwickshire land. There remain sites available within the agreed Development Zones which have not yet been built on. 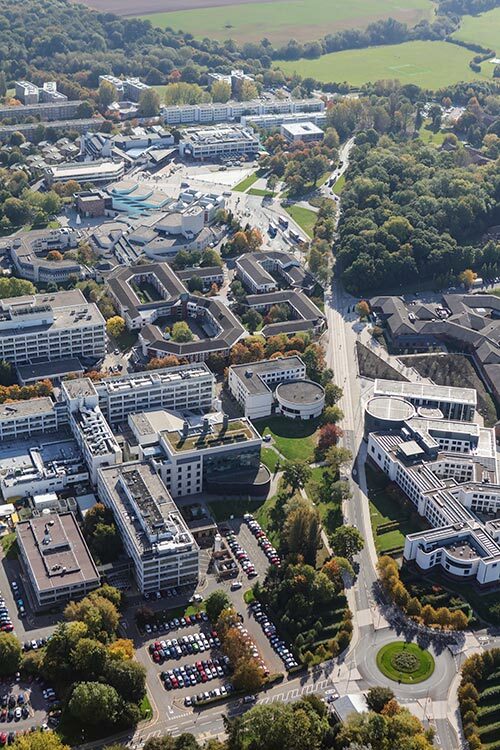 Other opportunities have been identified, particularly through demolition of University owned properties, to redevelop parts of the existing campus for the next wave of buildings and open spaces.